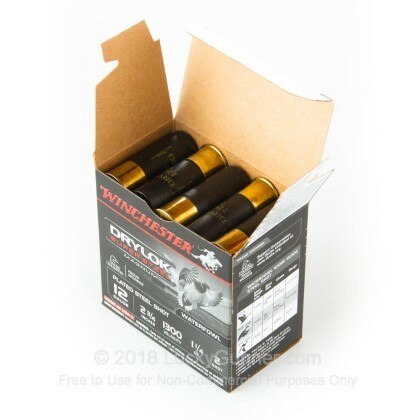 Winchester's Drylok shotgun shells are one of Winchester's premium offerings for the duck or geese hunter. 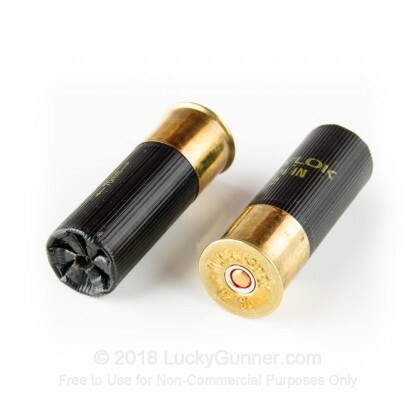 These shells feature plated steel shot which helps each pellet to be more consistently round resulting in better, more accurate patterning. 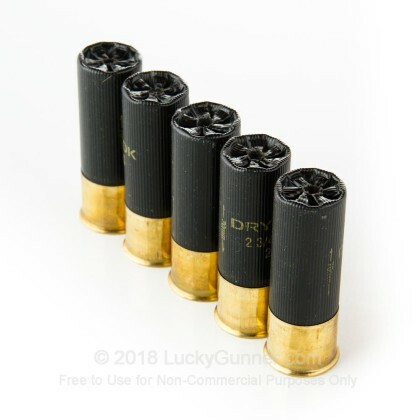 Additionally, the Drylok shells have a double-seal wad to prevent powder from getting wet which can result in failure or slower, less consistent muzzle velocities. Additionally, the primer is lacquer coated to prevent moisture intrusion. 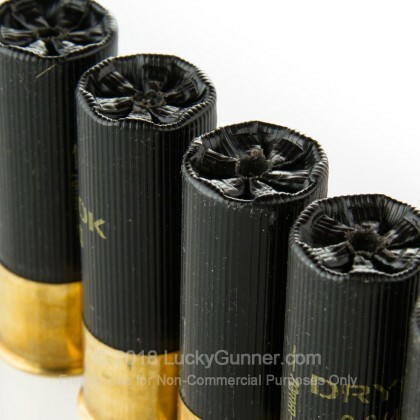 These shells do a great job of shedding water and will help ensure you have a great hunt. 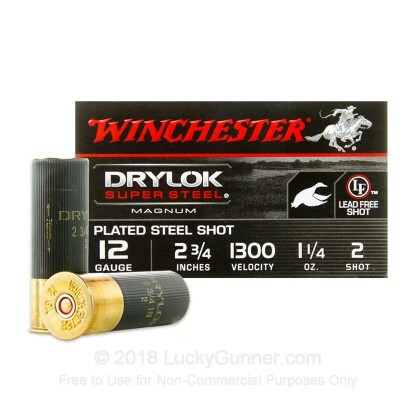 This magnum load features 1-1/4 ounces of #2 steel shot for far reaching performance on your next duck or geese hunt. Winchester has been in operations since its founding in 1866 and is one of the World's most recognized brands. Blind Side ammunition represents their continued legacy of continually improving and producing products that hunters have learned to trust for generations.